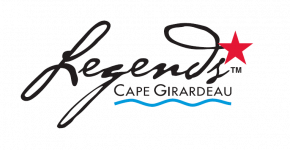 Welcome to Legends Cape Girardeau! Legends is brand new student housing located in beautiful Cape Girardeau, Missouri and just steps away from Southeast Missouri State University. Legends Cape G artfully blends contemporary style with luxury amenities and is carefully designed with every resident's success in mind. Legends offers one, two, and four-bedroom apartments. The Clubhouse and Leasing Office are now open 7 days a week! Stop by for a tour to see for yourself what Living Legendary means! With a model apartment inside, you’ll get a personalized look at everything Legends Cape G has to offer! We will have a shuttle not just to take you to school but after hours to downtown establishments. Just click the LEASE NOW button at the top of this page!